Dr. Mark Hyman helps you navigate the grocery store and make smart choices. If wading through grocery store aisles and perusing long food labels leaves you flummoxed, don’t fret. You’re not alone. Not even close. Instead of overthinking things, Hyman has a simple tip: Ask yourself if something exists in nature. So if you’re faced with a choice between chips or avocados, the answer is clear. His ideal diet is low in starches and sugars and high in rainbow-colored plant foods. “Food should and can energize, heal, repair and uplift us, rather than make us fat, sick, tired and foggy,” he said. And he’s here to debunk some very common food myths. 1. Red meat is healthier than chicken. “The fat composition of grass-fed beef is actually more nutritious, and contains more antioxidants and nutrients. Chickens are fed grains and have higher levels of omega-6 fats, which are generally too abundant in our diets to begin with,” he said. Takeaway: Eat grass-fed meat. “I highly recommend beef, bison, goat, lamb, and sheep — look for certification by the American Grassfed Association. This ensures the animals are grass fed, treated well, have not been treated with antibiotics or growth hormones, and no imported meat,” said Hyman. 2. Low-fat or nonfat milk is not better for you than whole milk. “Fat is among the healthiest things in milk,” he said. And a recent study backs this up. Takeaway: Drink small amounts of whole milk from grass-fed cows, and “stick to sheep and goat's milk products. They are less inflammatory,” he said. And to get your recommended daily calcium intake, try sesame seeds, sardines, tofu, cheese, yogurt or salmon instead. 3. Egg whites are not better for you than egg yolks. “The yolk is the most nutritious part of the egg. It contains all the nutrients needed to create a new life. Plus, whole eggs taste better and are more filling. And cholesterol has been exonerated. It doesn't cause heart attacks,” he said. Takeaway: Eat the entire egg or eat a mix of whole eggs and egg whites. 4. Low-fat or nonfat yogurt isn’t the best food option for you. That’s because many low-fat yogurts have heaps of added sugars. “And most sweetened yogurts have more sugar than a can of soda,” said Hyman. Takeaway: Eat full-fat yogurt because it will fill you up. 5. Fresh fruits and veggies are not always more nutritious than frozen foods. Takeaway: Eat frozen organic fruits and vegetables, because they’re cheaper and always in season. 6. 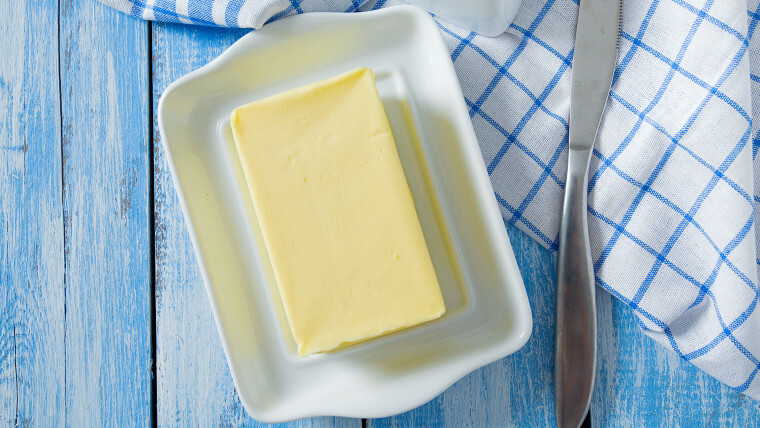 As for butter, you don’t need to avoid it. “We were always advised to avoid butter, and use margarine. Bad advice, it turns out, because they're far more toxic than the saturated fats they were meant to replace,” said Hyman.